Let a lucky other join the team as they raise anchor to cruise along a region rich in seafaring history and steeped in natural beauty at the Moreton Bay Marine Park. The vessel will glide over the waters as they sit back, relax and observe amazing vistas and abundant wildlife all while enjoying a delicious morning tea. Afterwards, they'll cruise North for some opportunities for great bird-watching and then return in the nick of time for a tasty lunch back on shore. Suitable for all ages, the calm waters of the channel ensures a pleasant trip for all, and the experienced guide will cover the highlights of the fascinating history, geography and ecology of this vibrant region. Choose one of the gift voucher packages below and find the one most suitable for your recipient! 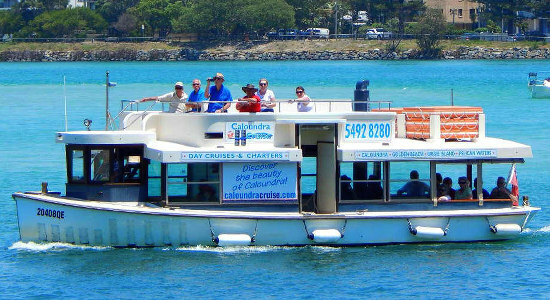 Delight a lucky other with the opportunity to Caloundra Heads to Moreton Island with this morning cruise gift voucher. Find out more here. 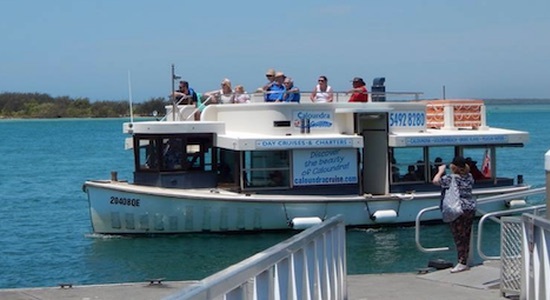 Gift this 2.5 hour Caloundra Eco Cruise gift voucher and let the lucky recipient see the Sunshine Coast in all its glory. Find out more here!